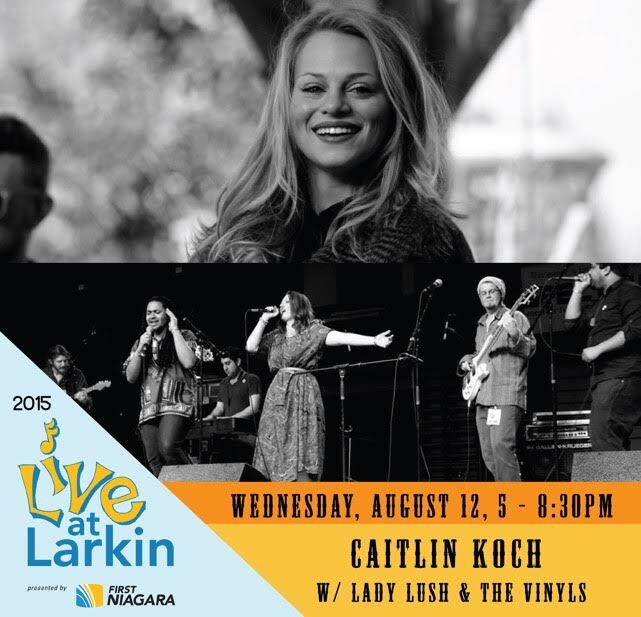 Live at Larkin Week 9 – Caitlin Koch & Lady Lush & the Vinyls! 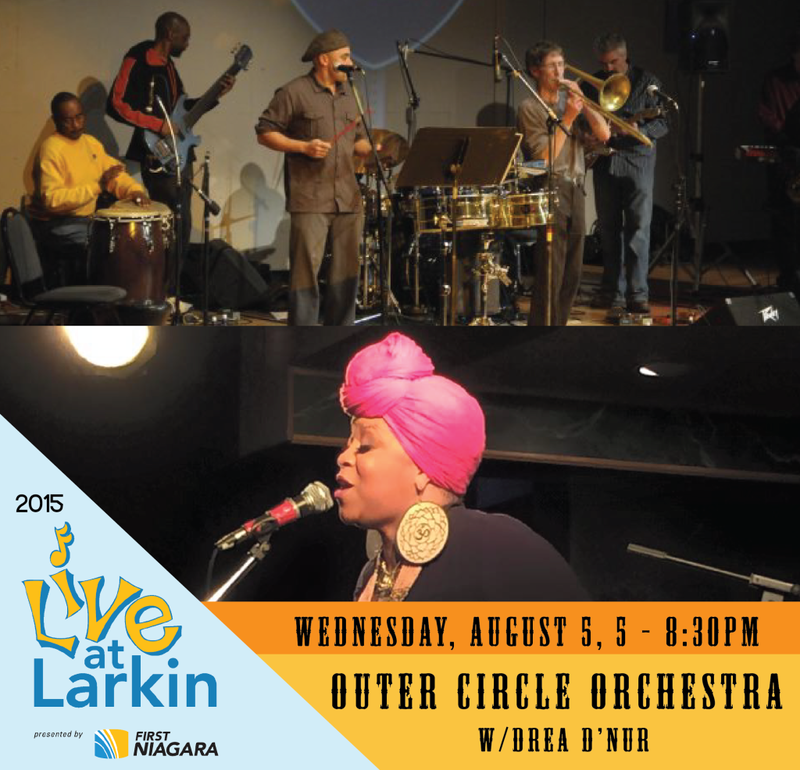 Live at Larkin Week 8 – West Side Bazaar Night with Outer Circle Orchestra & Drea d’Nur! Following another phenomenal Live at Larkin finale jam in which the Alison Pipitone Band welcomed longtime cohort Pamela Ryder back onstage to tear the house down, we look ahead to the opposite scenario for West Side Bazaar Night in Week 8- while Outer Circle Orchestra and Drea d’Nur are both well-established on Buffalo’s music scene, our signature dual band encore will mark the first time they’ve performed together! Live at Larkin Week 7 – Alison Pipitone Band & Pamela Ryder! Whataya know, another “wow” in Week 6 of Live at Larkin, which stands as one of our all-time finest concerts – the excitement onstage and in the crowd for Vinnie DeRosa’s debut album release had the whole place pumped up, and both Vinnie and opening act Toney Rhodes delivered explosive sets that won’t soon be forgotten. I’ve got his “Hesitate” EP on repeat, and based on the busy merch table after the show I reckon many more Western New Yorkers are saying the same right now! 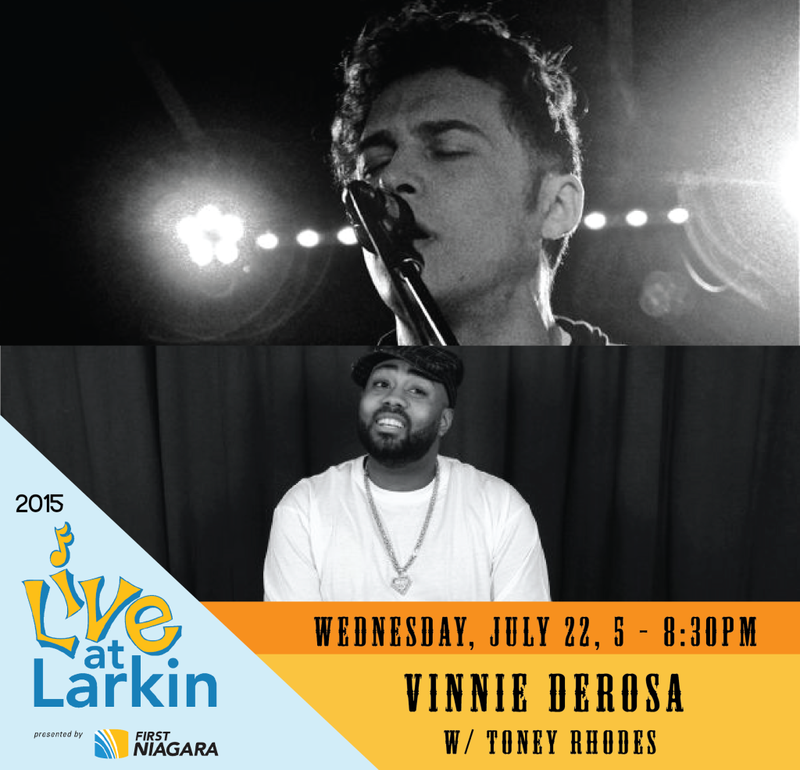 Live at Larkin Week 6 – Vinnie DeRosa EP Release with Toney Rhodes! This past Wednesday, and for the fourth year in a row, The Ragbirds proved they’re the perfect band for Live at Larkin with a uniquely fun and vibrant set that left another large crowd abuzz with praise; the feel-good scene was completed by so many family and friends welcoming home from Ann Arbor their sibling duo of Erin & TJ Zindle, plus a father-son pairing onstage in Geno & Aidan McManus of opening act Stoneflower – true to our form, it was a family affair in Larkin Square! 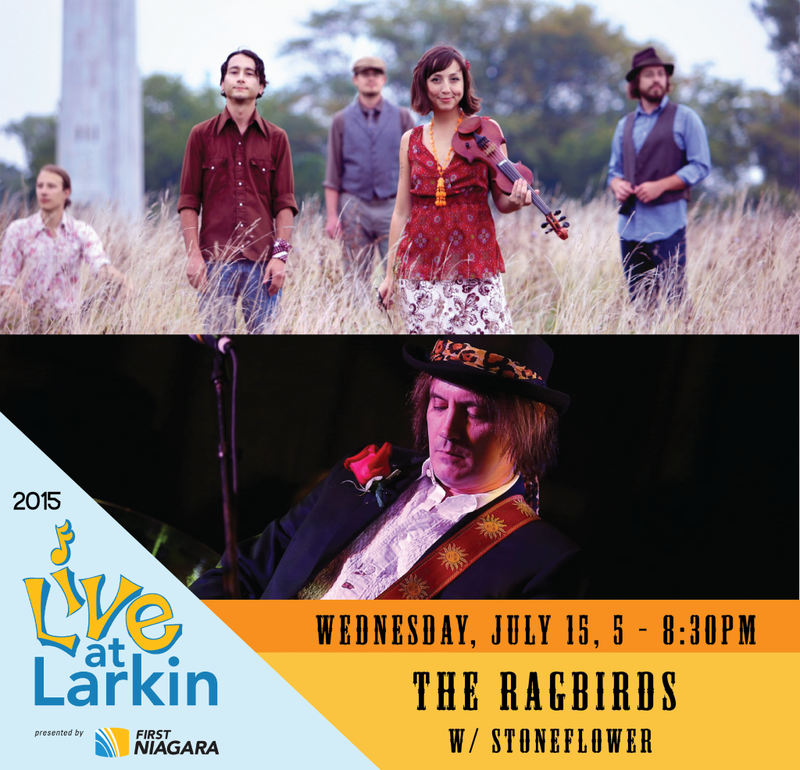 Live at Larkin Week 5 – The Ragbirds & Stoneflower! We enjoyed another extraordinary Live at Larkin in Week 4, as The Tins and Applennium each offered outstanding original sets before teaming on a trio of related classic covers culminating with The Traveling Wilburys’ “Handle with Care” – video below thanks to WNY.fm!